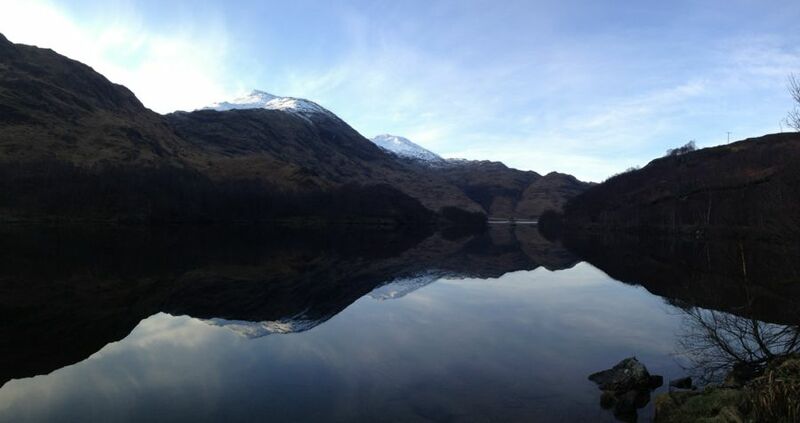 Leonie is up in Scotland - Glencoe - doing Bruce Percy's Scotland photographic workshop. As it's very much not London, I'm tagging along, and doing some work up here while she's off freezing her arse off learning new tricks. We headed up on the sleeper train on thursday night, arriving in Fort William at 10am, to be surrounded by snow and a glorious morning. We took a drive out to Malag, following the train that was used in the opening of the Harry Potter films (ie, when they are heading to Hogwarts), and found some stunning scenary along the way. All of these are off the iPhone 4s, using Autostich to make the panoramics. Otherwise untouched.